Jimmy and his gelding, Blue, competed in the Third level Jr/Yr Championships placing 10th with a 63.5% out of a very tough 14 riders. 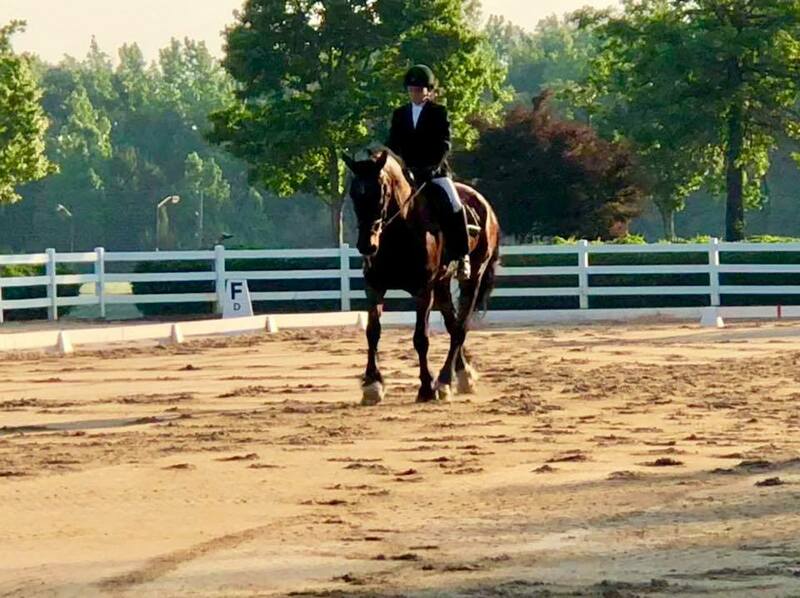 Linda and her gelding, Extra, competed in First and Second level AA Championship classes placing 19th out of 44 riders in First level and 14th out of 18 riders in Second level. 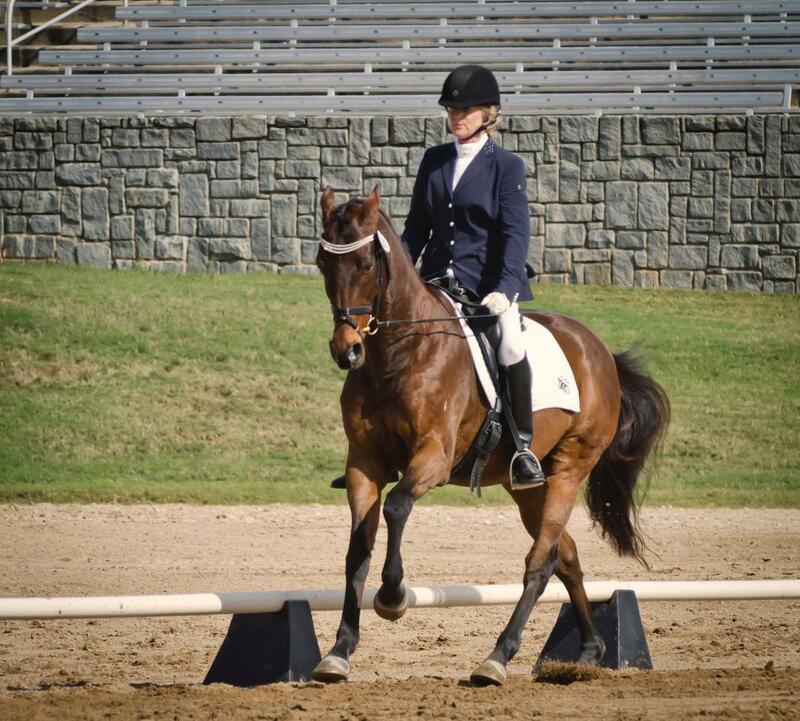 Pat and her gelding, Corsair, competed in Second level over the weekend. The pair had several clean tests, but Corsair seemed to struggle a little with maintaining energy in the deep footing in the Grand Prix arenas throughout the weekend keeping them just shy of the scores needed. Ella and her gelding, Freckles, competed for the first time at Training level. Taking two 1st's and two 3rd's scoring in the mid 60's all weekend! Maribeth and her mare, Honour, competed in the Dressage Seat Semi-Finals 13 and Under placing 3rd with an 80%. 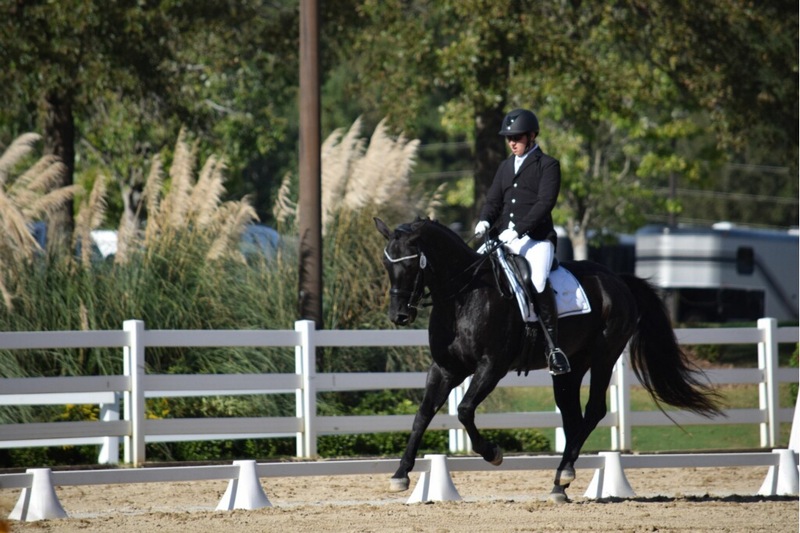 This earned them a Wild Card to compete in the Dressage Seat Finals at Lamplight next year. The pair also took a stab at Third level over the weekend. They had a few mistakes but showed good effort first time out just missing the scores needed towards their Bronze Medal. Sir Aspen and Jessica had several great schooling sessions around the busy show grounds over the weekend. Pics to come soon.